Our Dog Show is the Midwest’s Best Animal Entertainment! Team Zoom Canine Entertainment is an exciting and action-packed performance that is perfect for all ages! 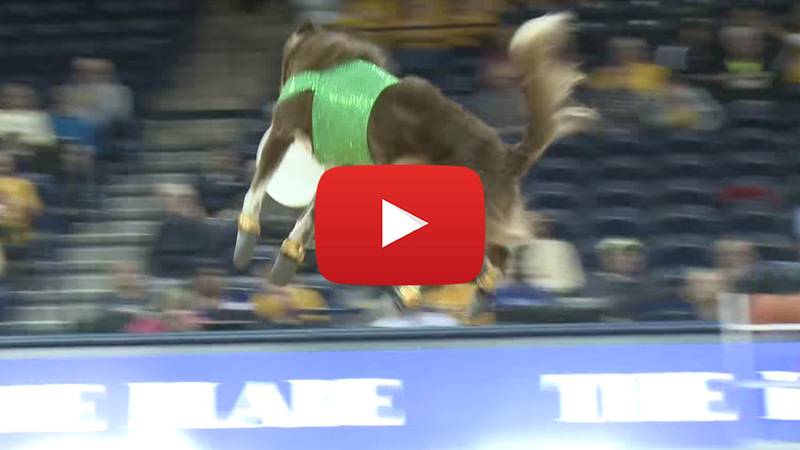 From unbelievably long Frisbee catches and gravity-defying agility vaults, to jumping rope, hula-hooping, dancing and darting through an obstacle course, our expertly-trained border collies perform one of the leading dog shows in the entire Midwest. Our captivating performances and unique tricks go above-and-beyond with choreographed music, audience participation, photo opportunities, doggy meet-and-greets and more. People of all ages can’t help but love our amazing performance dogs! Our performances demonstrate the incredible bond between animal and handler – all while providing an exciting experience for all guests. And as an added bonus, after each show, the audience can meet and interact with a few of our canine athletes. Our dogs love to meet audience members of all ages and are great with kids and families. You’ll feel completely comfortable around our canine athletes, and the friendly and professional dog handlers that work with them are licensed and certified dog trainers with years of experience. We are also fully insured for your protection. Our team is based in Moraine, Ohio and we work regularly provide entertainment locally in Dayton and Columbus, as well as in Michigan, Indiana, Kentucky, Pennsylvania, Illinois, North Carolina, West Virginia, Tennessee, Missouri, and more! Every Team Zoom performance is customized to fit the size and layout of the venue, as well as the demographic of the audience – and no audience or venue is too large for us! Generally, our shows last 30 minutes, followed by a 15-minute meet-and-greet where the audience can meet our dogs and handlers. Our dogs have the energy to perform multiple times a day, but for the safety of our dogs and handlers, we require a 2-hour break between shows. See Team Zoom in Action! We Offer Customizable Event Entertainment That Your Guests Will Never Forget! Team Zoom performs at a variety of venues, including sporting events, festivals, charity functions, children's birthday parties and more. There’s no event too large for us! 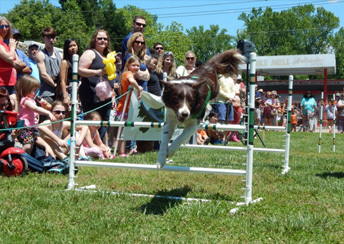 Team Zoom Canine Entertainment is ideal for any fair or festival. 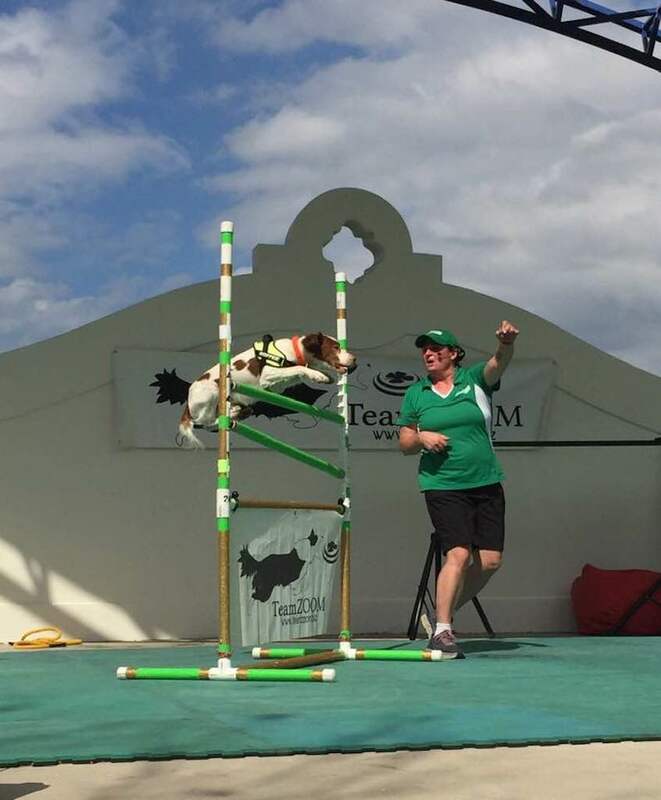 All aspects of our dog show can be tailored to your specific fair or festival including costumes, theme music, k9 Frisbee routines, agility stunts and pet tricks! With the ability to perform multiple shows a day, and our fun, one-of-kind audience participation elements, our dogs are sure to be the talk of the fair! Team Zoom Canine Entertainment features first-string canine athletes - no bench warmers on this team! From warming up the crowd to captivating half-time shows and performances between innings, our canine athletes will help keep your sports fans on their feet and cheering for more. We’ve provided our top canine entertainment to basketball, football, and baseball games throughout the Midwest. In fact, Team Zoom baseball performances are so popular that they are regular entertainers at the Dayton Dragons baseball stadium, performing 4 times a season! Don’t wait, our schedule fills fast! Give us a call today at (937) 607-4594 to reserve your date, request a quote or for more information. To get a no-obligation, online quote, visit our contact page to send us a few details through the quick quote form and we’ll get back to you soon. We can’t wait to show you what our dogs can do!